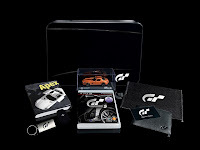 The Sony European Blog has confirmed that Europe will be getting two special editions of Gran Turismo 5, assuming it ever launches, of course (current expectations are the end of 2010, but have a pinch of salt to hand). 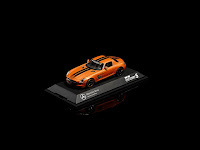 There’s far too much detail to list here, but the basics are that a Signature Edition will be launching in a metal case resembling a Mercedes Benz SLS AMG in Obsidian Black, and it will come with a competition entry to win a real life version of said supercar. Quantities are to be strictly limited, and it will launch with the premium price tag of €180. It will also come in a more reasonably-priced Collector’s Edition, which comes with an €80 price tag, which includes some art cards, downloadable themes and exclusive DLC cars, amongst other things. 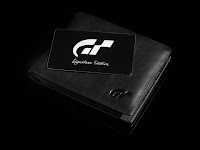 So, perhaps this means GT5 is finally coming, and the question is - does anyone care any more? Will the Signature Edition be worth almost the price of a brand new Xbox 360 or Nintendo Wii? Get the full low-down here.